Mode-locked fiber lasers operate in very different regimes concerning not only the pulse parameters, but also the pulse formation mechanisms. As an example, we consider an all-normal-dispersion fiber laser, where the pulses undergo substantial changes within each resonator round trip. As the pulse properties change substantially during the passage through the fiber, the fiber is assumed to be split into several subsections. The number of subsections is automatically calculated such as to limit both the amount of gain and nonlinear phase shift within each section. The next diagram shows the resulting pulse (again before the grating) in the time domain. 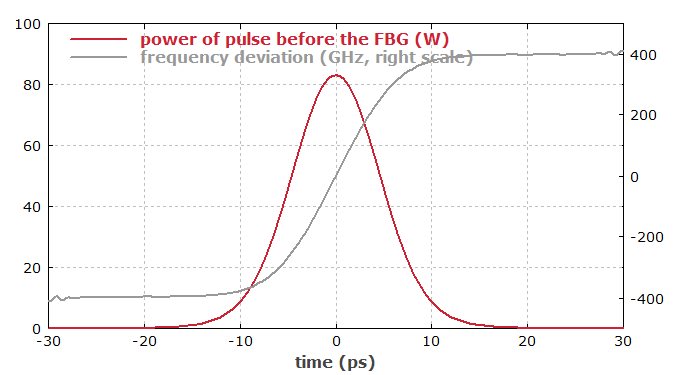 The optical frequency deviation from the reference frequency shows the strong nonlinear up-chirp of the pulse. 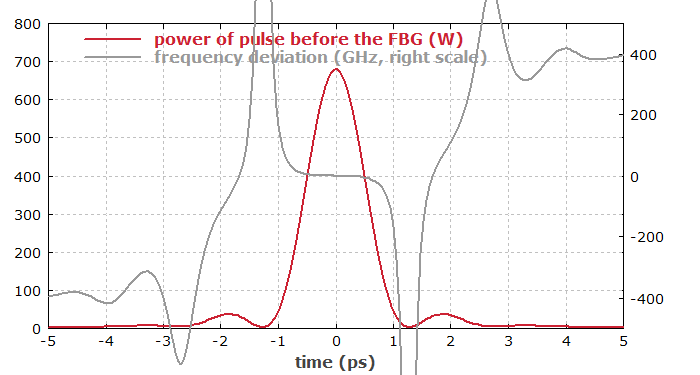 The next diagram shows the same pulse in the frequency domain. 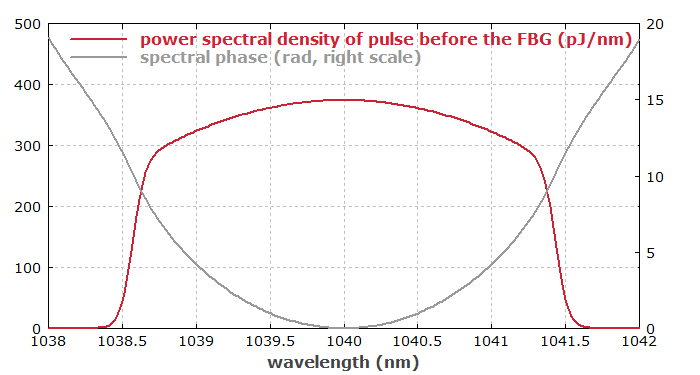 The spectral shape is typical for this kind of laser. The nearly parabolic shape of the spectral phase profile would allow for efficient dispersive compression of the output pulses. This is demonstrated in the last diagram, where the pulse has gone through an automatically optimized dispersive compressor with second-order dispersion only. 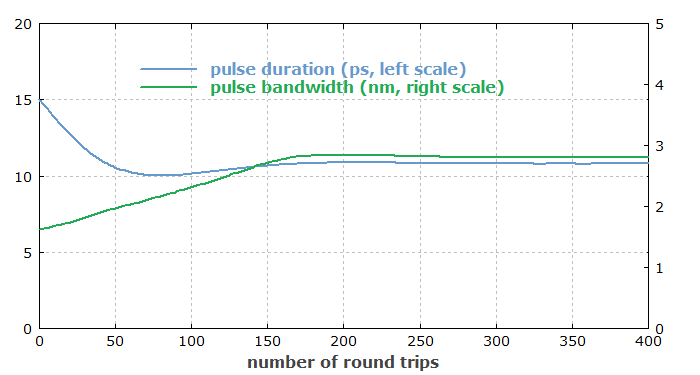 Note that the software RP Fiber Power is actually even more suitable for fiber devices. See a demo for a mode-locked fiber laser.